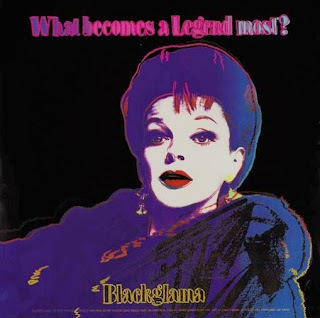 nyc2vin: Happy Birthday Judy Garland... or Was that Mama ? Happy Birthday Judy Garland... or Was that Mama ? I couldn't let today go by without acknowledging Judy Garland's birthday. I thought I would finally out myself & come clean. Growing up, I always thought that Judy Garland was my mother. Okay, I'll give you the back story. As a child my parents had many Judy Garland albums & listened to them often. I loved them, even though I only knew her from "The Wizard of Oz". But I somehow always felt a strong connection to her & that voice. When I found out that my brother had a different mother from my father's first marriage, I assumed I had a different mother too. It had to be Judy Garland, that would explain it. I started singing like her & began to wear out my parents albums. I would play the albums singing at the top of my lungs with our front door open & my Carnegie Hall was the echo in the hallway of the apartment building. I'd go to bed at night & try to stay awake when my parents had company, because I thought Judy & my half sister, Liza would be visiting. (They never showed up... this went on for years). My mother had always said to me as a child that I was a "miracle baby". She & my father wanted to have a child, but she had trouble getting pregnant. She'd tell me that she'd go to church, light candles, say novenas & pray for a child. One night, after many years of trying, she awoke from sleeping on the couch watching television (maybe that's why I wasn't born sooner). She told me she had a vision of the Virgin Mary. It was a sign & my mother knew she'd soon have a child. I was born late in Mama's life, I was definitely the "miracle child". I would sing "Over the Rainbow" in kindergarten, so maybe it wasn't that outrageous that I assumed Judy Garland was my "real" mother for many years. Happy Birthday Mama... I mean Judy. Displaced New Yorker? nyc2suburbia Commuter? 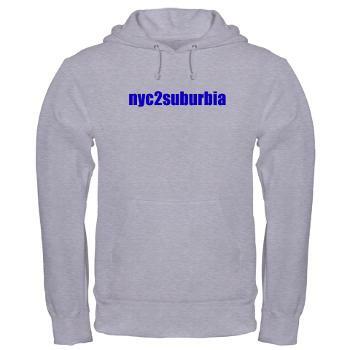 If U love NYC, Suburbia OR both, our products are for you! Survive with your unique Style, $ense & Sanity with nyc2suburbia products.